Well ladies and gentlemen, it is that time. No, it’s not Christmas morning yet. Instead, it's time to share a few good articles I’ve come across during the past week. My mistake if you were expecting another, expertly penned blog post by myself, but I find that sharing a few other articles breaks up the monotony of my own voice. 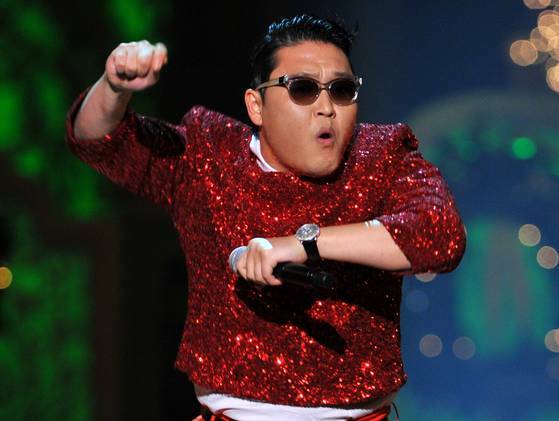 The awesomeness of "Gangnam Style" has willed my suspension of belief regarding his anti-American comments. First up, and obviously most important, is the fact that Gangnam Style made YouTube history this weekend, becoming the first video to ever eclipse 1 billion views! While I won’t drop the video into this blog post, you can always click here to relive the glory. Next is an article from the New York Times that's good news to all of you that can’t seem to get out of bed for those early morning workouts. There is some evidence to suggest that, for some people, the later afternoon may be the best time to exercise. The bad news? I’ll still call you lazy if you hit the snooze button 17 times and decide to skip a workout. The good news? In light of this new evidence, maybe I’ll feel bad about it. Maybe. Next up is a real “meathead” article written by Ben Bruno on T-Nation. I’ve had the privilege of working with Ben for the past few months, and not only is he one great coach, he’s an insanely strong dude. This article is all about leg training, and I really enjoyed reading it because it's often how I train myself. Is Your Leg Strength Up to Snuff? As the Midwest has already received a pretty big blow from the first big winter storm, here's a great tip from Dr. Stuart McGill on shoveling. He teaches the proper way to hip hinge, which is a way to save your lower back when you need to dig yourself out.